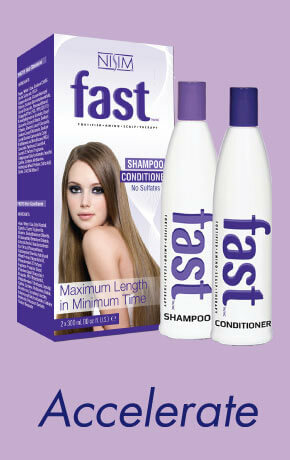 Grow your hair FASTER with FAST shampoo and conditioner. * For best results use BOTH the shampoo and conditioner. We are proud to serve you with our quality line of herbal based products to solve your hair and skin issues. Nisim International has been in business for over 25 years producing quality hair products guaranteed to what they say they will do. We manufacture all of our hair products in our facility just outside of Toronto, Ontario, Canada. Our products have been developed over many years of research and study of both hair and skin. Our hair products are sold in over 45 countries around the world. If you would like to find a distributor of our hair products in your country click here. If you are looking for a retailer in North America, call our customer service team on our toll-free line at 1-800-656-4746 for the location nearest to you. Of course you can always order our hair products online here from any one of our product lines by clicking any of the following links. 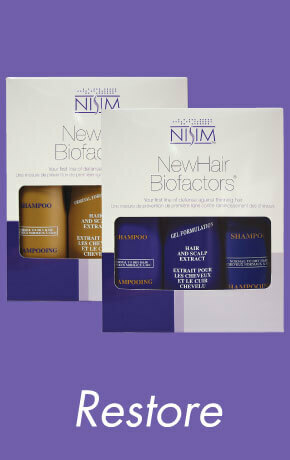 Nisim NewHair Biofactors: Hair Loss Shampoos , Conditioners and Hair & Scalp Extracts for generating new hair growth. Kalo Hair Removal: Kalo Hair Inhibitor. F.A.S.T. Fortified Amino Scalp Therapy: Fast Shampoo and Conditioner. 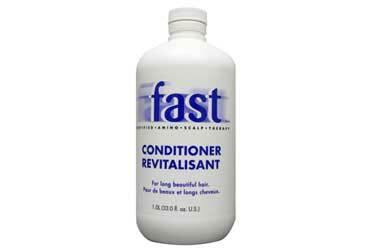 Canadians must use www.nisim.ca to order Hair Loss Shampoo, Hair Regrowth Extract, Kalo Hair Inhibitor, & Fast Shampoo (Canada). 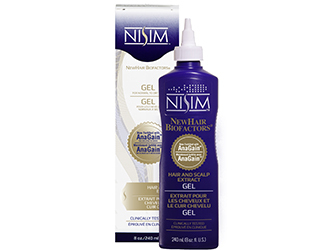 Nisim NewHair Biofactors products are designed to help those people suffering from hair loss as well as scalp disorders such as psoriasis. To learn more visit the NewHair Biofactors page on our site. F.A.S.T. 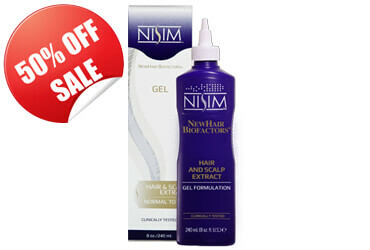 Fortified Amino Scalp Therapy products are designed to get your existing hair growing as fast as possible. In fact in clinical studies an increase of up to 99% faster was observed. Many people have had even better results. Kalo products were developed to help you with all your hair removal issues. Kalo is a hair inhibitor product that actually prevents ANY unwanted body hair from growing back. 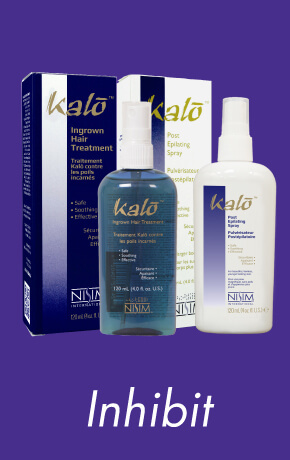 Kalo IHT - An Ingrown Hair Treatment is another popular Kalo product sold online and at select salons. 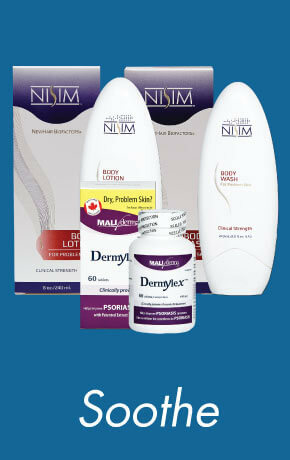 Nisim Clinical Strength Body Wash was developed for those with dry sensitive skin. It's currently our most popular skin care product sold online. Please take the time to visit any one of our facebook pages: Nisim Shampoo, FAST Shampoo or Kalo Hair Removal. If you own a salon shop or are a salon professional, be sure to register here to receive special salon pricing. Lastly if you have anything you would like to share, please feel free to email our CEO Tom Davidson at tom@nisim.com. He personally answers all emails. Thank you again for choosing Nisim International.